In the late 1960’s, Punch began production in Honduras as one of the first hand-rolled premium cigar brands to be developed in that country. Each of these gems are handcrafted in accordance with the country’s tradition of expertly curing its tobacco. Hand-rolled with vintage Honduran tobaccos from the famed San Augstin Valley for its filler. Both the binder and the wrapper of every Punch premium cigar consists of rich, sun grown tobaccos making them known for their robust blends that are filled with flavor. Punch is a great full-bodied cigar that features a stunning, modern design while still paying homage to the brand’s old-school Cuban heritage. 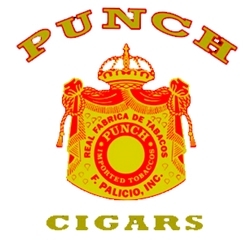 If you’re looking for an excellent premium handmade cigar, Punch is perfect for you! Try them here today for a discount price! Call us for more details!